Bridget Kearney, the acoustic bassist and songwriter in Boston's Lake Street Dive, says they have taken the tortoise approach to a career. And things have worked out, in a big way. 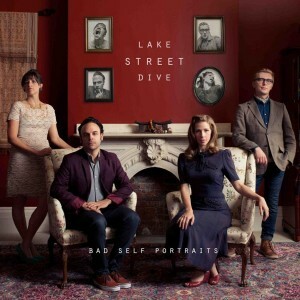 With their sound of stripped-back Motown and country-flavoured pop, Lake Street Dive have wooed and won audiences across the States, especially with the release of their album Bad Self Portraits earlier this year. That followed a few self-released EPs and albums and for the four members – who met while studying jazz at the New England Conservatory of Music – there were some fortuitous pieces of timing. Not the least making the decision to commit to the band fulltime, and then a You Tube video of them busking the Jackson 5's I Want You Back around a single mike on a Boston street. “It had got to a point where we were happy with the way things were going and having a great time playing in small clubs like we were, but there became a necessity to commit to something financially. “You just can't do this halfway because it means you are always making sacrifices and you aren't committing to something else either because you are halfway into this thing . . .
“We realised if you want to do something well you have to put your full energy into it. That was scary and hard and did feel like jumping off a cliff . . . but the timing of the jump worked out well, it was just after that the video went viral. Lake Street Dive formed a decade ago when singer Rachel Price (far right), drummer Mike Calabrese (second from left), trumpeter Mike Olsen and Kearney got together for some informal sessions. But even back then they were different from other student bands. “From day one we were Lake Street Dive and that was unique in that more often than not the college conservatory students would say, 'Hey let's get together and jam'. But for us this was like, 'Let's start a band'. “But I never would have imagined that 10 years later I would still be playing with the same three people and doing what we are doing now. “When we were getting together we focused on original songs with our own lyrics so in that way there was a direction, but because they were our first songs we were stylistically confused. Kearney says as much as she had any game plan at college it would be to play upright bass in jazz clubs around New York City in various bands, “but I'm excited it worked out this way because I think when we were truly honest with ourselves we were much more passionate about this style of music”. For a jazz student however, the route to Motown-inspired pop with country-inflections is't quite as unusual as it seems. Motown was there for her in high school and college years but they really came to her from secondhand sources. “In some way my musical taste has developed thanks to soundtracks to romantic comedies,” she laughs. “There is a lot of great music in those movies and they just stick with you because they remind you of when you feel really good and people are falling in love. More specifically during and after college, I started digging deeper into that catalogue of music and it is so deep and beautiful when you really go through it. 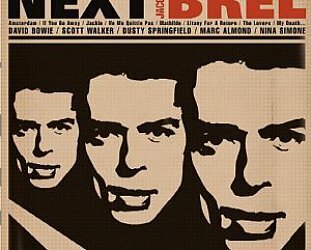 “Some of the most talented studio musicians who ever existed were in the bands that played on those records, and the singers were just so powerful and creative. 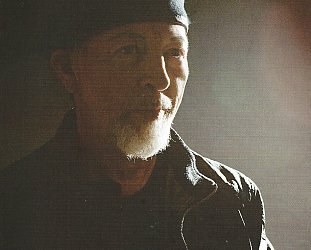 “One of the things that draws us to that style of music is that a lot of those studio musicians were jazz musicians themselves, like James Jameson. He is one of my favourite bass players and he started out playing jazz too and ended up being the studio bass player for Motown, and you can totally hear it in his lines. 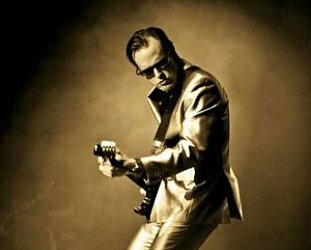 “He's a very smart player who uses a lot of chromatics and interesting rhythms and is incredibly melodic. Early in 2015 they will be back in the studio sifting through the 25 to 30 songs they have up for consideration and then they come to New Zealand to play the Womad and in the Auckland City Arts Festival. 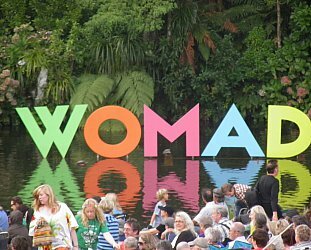 She laughs when told that the Taranaki Womad is in an especially beautiful site. 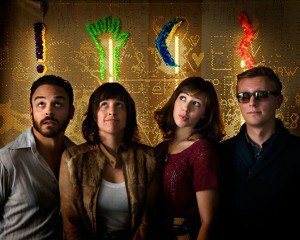 So after eight years of maybe being a band and then the last two fully committed to Lake Street Dive, things have worked out remarkably well and Kearney says they often talk about how lucky they were to have had that long period of playing together before the spotlight hit. “Because by the time we were asked to do, for example that T Bone Burnett concert in New York, [in December 2013, music inspired by the film Inside Llewyn Davis] we weren't waking onto that stage green.